This machine is designed for sewing jeans and other heavy garments. It can penetrate up to twelve layers of soft denim at a time. It comes with a good mix of built-in functions and a decent quiver of accessories. Its unique abilities make it shine and stand out. With a special gliding foot, this model can easily accommodate multiple layers of heavy materials such as denim. You can also change the number of layers as you sew. The foot will just glide right over them. Its special fabric abilities and its solid performance earn it a high overall score. 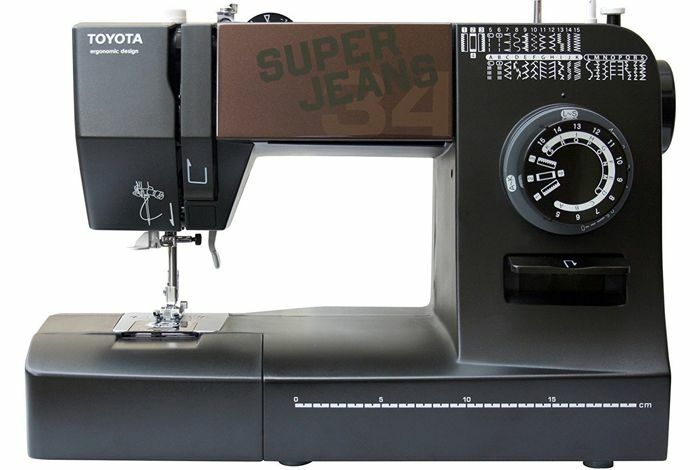 Toyota Super Jeans J34 is best sewing machine for leather. This machine includes six different presser feet, including a zipper foot, an overcasting foot, a zigzag foot, a blind hem foot and a buttonhole foot. It also includes a special gliding foot unique to Toyota machines that accommodate multiple layers of heavy fabrics like denim or canvas. If you need to sew tighter areas such as pocket linings, pant legs or shirt sleeves, you’ll be able to do it with this machine. You’ll also be able to work with smaller garments like pet clothing, baby garments, and doll accessories when you use the free arm. Thirty-four built-in stitching patterns are on this model, including utility, stretch, blind hem, decorative, applique and overlock stitches. There are also triple-reinforced straight and zigzag stitches, a 4-way smocking stitch and a buttonhole. When you drop your fabric feed dogs, you’ll be ready to take on free-motion quilting and sewing tasks. Free-motion sewing comes in quite handy for many different types of larger projects such as quilting, costume design, garment alterations and home decor. It can sew an insane amount of denim for that small machine. An included gliding foot allows it to sew through as many as twelve layers of soft 12-ounce denim, nine layers of soft 14-ounce denim, or nine layers of hard 12-ounce denim and to seamlessly sew through changing layers of denim. Q. Does this sewing machine have a warranty? A. 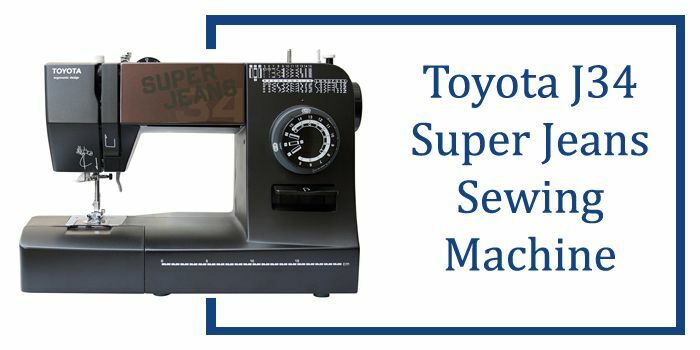 This sewing machine from Toyota has a five-year warranty that covers any defaults that might occur on it. Q. Is this machine a good option for lightweight fabrics, seersucker, cotton blends? A. This machine is commendable for sewing denim jeans although you can also use it to sew other materials from lightest of fabric to upholstery. Q. What amplitude motor does this machine have? A. Total amp consumption rating is about .5 amps, the machine is geared low for power, not for high-speed sewing. 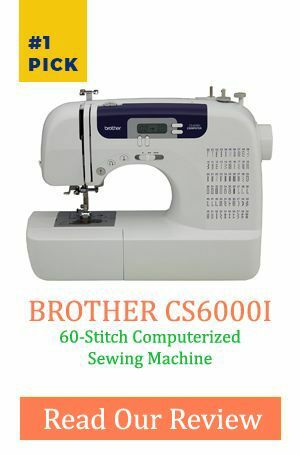 It sews about 200 stitches per minute, so it’s not the fasted machine on the market, but it goes at a good pace. The belt is internal, so it is not adjustable. If you are a busy family sewer or hobbyist with a little experience, this model is what you're looking for. We like this one as an all-around utility machine. It is an excellent machine for family sewers, who frequently need to sew blue jeans, backpacks or other heavy-duty garments.